‘Content is king.’ And that is not just a catchphrase. You need good quality, relevant, engaging, and genuine content that is loved by your readers and search engines alike if you want your website or blog to rank well. And to do it all effectively, you need a good content strategy. Building a website is one thing. Marketing it successfully is an entirely different thing. For a successful online affiliate marketing campaign, you need more than just a website. You need a plan, a content strategy that steers you ahead of the competition. The content strategy makes your life easy. It lets you carefully plan, develop and manage your content. Most affiliate marketers already know that they need good content to advertise their website, yet they do little or nothing about it. Almost all of them take off pretty well, regularly writing good content that works. Gradually, most of them slow down and start writing good content only once in a while. That leads to disaster, a failed campaign. When it happens, they start complaining about their failures, blaming technology and other factors. However, what they lack is a content strategy. 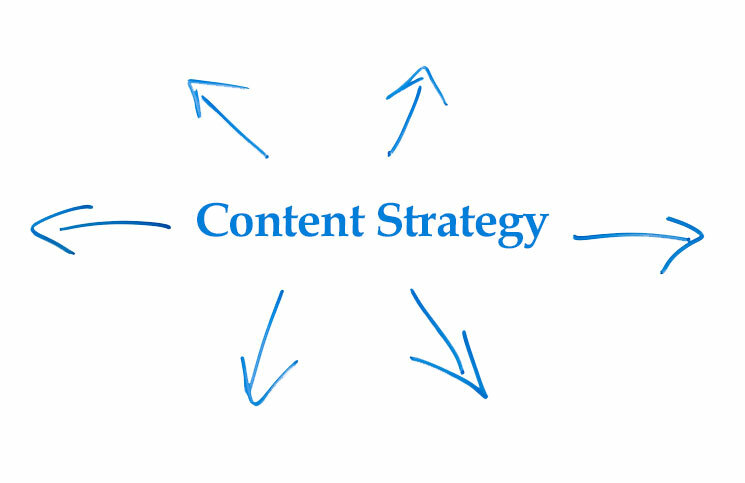 Content strategy helps you create content that meets users’ needs. With a content strategy handy, you will not be wasting time writing content that is completely worthless. Helpful Good content is useful, and useful content attracts users to your website, not to mention making them come back to it often. Devising a content strategy is simple. With the tips listed here, you will be able to create an effective content strategy for your website without any professional help. Identifying your target audience is the first step toward successful marketing. Who are the primary users of your website? Without knowing your target audience well, you will not be able to produce content that appeals to them and make them take the necessary actions. Finding your target audience can be easy or tough, but in most cases it is easy. If, for example, you run a website that sells weight loss secrets, who do you think is your target audience? If you have said ‘overweight people that are trying to lose weight,’ it’s confetti time! Now let’s try another example. You run a travel website that provides all sorts of travel packages, tour and hotel deals, flight tickets, holiday packages, sightseeing arrangements, etc., who do you think is your target audience? Seems hard? Indeed it is as it involves rigorous brainstorming. As you can see, finding the target audience can sometimes be hard. However, by asking yourself certain questions you can quickly brainstorm and find your target audiences. Here are 26 questions to help you begin the process of finding target users. What is relevant to your users? What gender are your users? Which social media platform do they use? Where do they shop? At shopping malls or online? Do they have an online presence? A website, blog, etc.? What is their literacy level? Do they speak English or a different language? What religion or ethnic group they belong to? How much do they make in a year? What types of parties do they like to attend? What are their hobbies, interests, pastimes? What types of books do they like to read? What type of fashion appeals to them? Do they watch movies? If so, what kinds of films? What type of music do they like listening to? What type of content do they love to share? How do they stay in touch with friends? Using instant messaging or some other means? The list above is not a definitive list, but it’s enough to get you started. Add more questions related to your website or niche to this list if required. Once you come up with your target audiences, arrange them in the order of priority. After identifying your target audiences, the next step involves determining your content goals. Writing content without a goal is like shooting in the dark. You must know in advance the purpose of writing an individual piece of content. Before you start writing an article or a blog post, ask yourself this simple question, ‘What will I achieve with this content’? If you get a clear answer to this issue, go ahead and write that piece of content. Each piece of content ideally serves a purpose. At times it may serve more than one purpose, which is perfectly alright as long as you know what you are doing. If you have clear goals, you will be able to create meaningful content every single time. Once you have identified your target audience and content goals, it is time to find out how other (successful) websites are doing it. Observe your competitors discover how they are connecting with the target audience. See the type of content they write. Do not copy them. Simply find out what makes their content work. If you can find out what makes their content stand out, you can try the formula on your content. Explore the types of content your competitors are using. See what works best. Find out the kind of content your target audience is reading and sharing. You must also follow your target audiences for their online activities. By knowing what your audiences are doing online, you will be able to create content that is tailored to your users’ needs. What types of websites do they usually visit? What are the problems they are trying to solve? What types of social networks are popular with them? What do they need the most? What information are they mostly searching for? What are search terms familiar with them? Do they visit any specific forums? If so, name those forums. Do they read blogs? What types of blogs? What kind of content do they like to share? Do they subscribe to newsletters, RSS feeds, etc.? Do they interact with the author of an article? This information will help you decide the type of content that you need to write for your audiences to make them come to your website again and again. Once you have observed your competitors and target audiences, it is time to brainstorm the types of content your audience will love. Is it text or video or audio or images or animations or a combination of all? If your audience loves to read stories, tell them stories. Write long pieces of content. If they love visual content, creating infographics is a good strategy. You can also use pictures, videos, and animations. If your audience loves listening to podcasts, create podcasts. If they like to read e-books, well, publish e-books. Let your users download it so that they can read it later. Brainstorming content ideas keeps you on track. You always have a list of topics by your side, so when it comes to writing content, you always know where to start. Creating an editorial calendar is an essential part of any content strategy. Top newspapers and magazines use it. Ace bloggers use it. Top e-commerce websites use it. And, of course, successful affiliate marketers use it. An editorial calendar is a spreadsheet that captures future topic ideas and schedules current content for publishing. It also helps you manage all content creation and maintenance activities. Most people create a monthly editorial calendar in which they plan out the content for the entire month. It keeps them organized and helps them produce content regularly. An editorial calendar may include the following parameters: Topic, Author, Title, Deadline, Publish Date, SEO Keywords, Target Audience, Offer, Channels for Promotion, etc. As a content strategist, it is your job to identify the parameters to track in an editorial calendar. When used effectively, an editorial calendar can make your job a lot easier. Seeing everything on the timing makes your life less complicated, and helps you think and plan for your website quickly. A style guide is an indispensable part of successful content writing. It ensures the consistency of content using certain rules that govern the overall content development. A standard style guide covers company values, voice and tone guidelines, correct word usage, Web writing best practices, legal and regulatory concerns and so on. When used while writing, reviewing, editing and publishing content, it makes sure that your content contains no discrepancies. With everything in place – target audience, content goals, competitor research, content ideas and editorial calendar – you are now ready to create content. Good content attracts users to your site and make them come back to it often. But if the content is wrong, it will only keep users away. Therefore, you cannot settle for content that is below par. If you can write great content, just go ahead and do it. Nothing is sexier than writing content for your website or blog on your own. But, if you think you cannot write good content, there are some easy ways to procure content. Here is what you can do. Hire a professional writer. They know how to write content and write it well. Writing content is more than just getting words, grammar and keywords in place. Professional writers can work for you and provide you with quality content on demand. Outsource to a professional writer. If you have some friends, who can write good content, contact them. Otherwise, you can log on to online staffing portals to find out good content writers. Post your project there, and writers will start bidding on it, quoting costs and everything else.You can get content for a low price, but the higher you pay, the better the quality of the content you get. On these portals, you can see detailed profiles of writers (or writing companies) that will help you pick the right candidate. Use private label rights (PLR) articles. You can buy these pieces and make them yours. Once you buy them, you get all rights to the content. Invite guest writers. You can invite guest writers who can write content for your website. Guest writing is becoming very popular these days as it not only gets you quality content from authority but also qualified traffic. Plus, it is a great networking channel. As you can see, obtaining content for your website is not tough. It does not matter whether you are a seasoned writer or not. If you know where to procure good content, you are on the right track. Defines guidelines for which all online content is administered. Makes planning, developing and managing content easy. Content strategy is fantastic. It makes your life easy. It lets you carefully plan, develop and manage your content. If implemented correctly, content strategy can save you days of effort and hard work. Not to mention it can save you money, too. Use it actually to become an ace affiliate marketer. This is so complete, I have way too many ideas to implement right now.